Over the past several seasons, Rowan Pennink and the #25 Gary Casella owned team have proved to be one of the cars to beat at Stafford when it comes to VMRS or open modified shows. Pennink has 3 VMRS wins over the past three seasons and he ran among the leaders in the June 8 Open Modified 80 before finishing fourth. 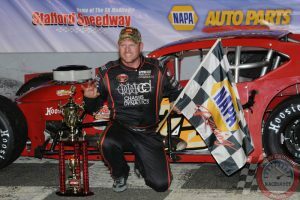 With the Bud Light Open Modified 80 set to take the green flag on July 13 at the Connecticut half mile, Pennink will be looking to add another win to his victory tally.